I regularly write about capsule wardrobes and create capsule wardrobes for different situations, but I rarely walk the talk. I feature outfit posts, but rarely any cohesion from look to look. This post features a real life capsule wardrobe created from items currently residing in my closet. Seven pieces of clothing, three pairs of shoes, five accessories to create 17 different looks for work, play, and beyond. Some of these pieces you’ve seen before on the blog, some haven’t yet made their debut but have gotten a lot of wear in real life, and some are relatively new. Before any new garment is purchased or added to my closet, I envision it with at least three looks. If I can’t achieve that (or if it isn’t a stand-out statement piece that works on its own) it doesn’t join the wardrobe. But if it passes the test, before I hang it up with its new family, I play dress up. I confirm that yes, it does work with those other items, or find other ways to make it work. Better to play dress-up at 7pm on a Tuesday than ten minutes before I have to head out the door for an event. I received some new things in the past couple of weeks and played dress up and saw a recurring theme… a capsule wardrobe if you will. I wrote down the looks and photographed myself in some of them so you can see a real life capsule wardrobe in action. In the following days I will break down these looks, provide larger photos, and explain how I came to create the outfits. With 7 pieces of clothing, 3 pairs of shoes, and 4 accessories I created 17 outfits for a creative office place, nights outs, and weekends. Click on any thumbnail graphic in the gallery to see the full-size images and descriptions. Hover over the images to find arrows to advance and go back within the gallery. If there’s an ad in the way, x it out to read captions. Click the X at the top right of an enlarged image to close the gallery and return to this blog post. This is the kind of capsule wardrobe you can build on. Add cream trousers to match the blazer and/or a black blazer to work with the pants. A silky shell or t-shirt in a pop of color is a good addition or replacement to the white tank to add a level of polish and professionalism. 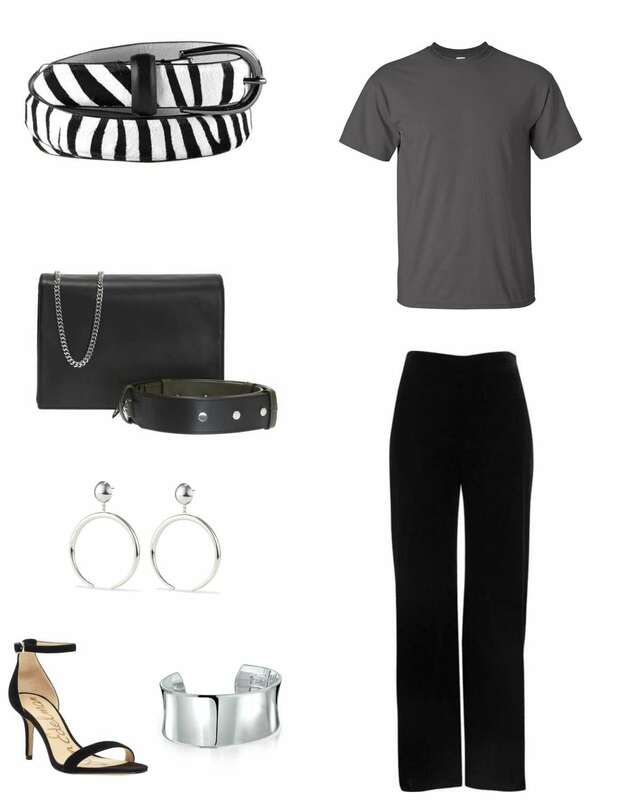 A striped knit top is a good way to add variety to the look while still having a cohesive wardrobe. A sheath dress is a piece you can add that would fit nicely (try wearing the sweater over it, a white button-front shirt under it, or the belt at the waist to switch up the look). Consider a long pendant in place of earrings or a scarf to switch up the silhouette and vibe of looks already created. Add your favorite work bag or laptop briefcase for the office and a larger tote for the weekend. The goal is to help you see separates in a new life, a way to create different outfits possibly with pieces already in your closet! I know putting on the clothes, posing, and then redressing for the next photo is time and energy consuming. I appreciate the extra effort you put into this post. The little pictures one after the other and not on a body are too much to absorb. I get overwhelmed. But the 9 pictures of you IN the clothes is perfect. It makes capsule wardrobes look possible for me. Thank you very much! My pleasure! I’m glad this one was well received, I hope to do more in the future, maybe one a season! Love the real life photos of the capsule wardrobe! Please do more of these! 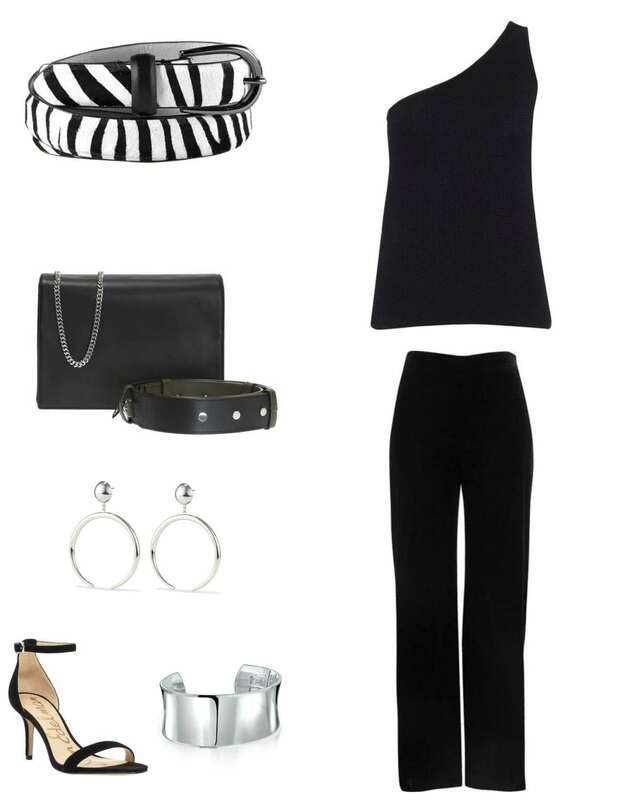 Very classic combinations that you can accessorize in so many ways..
I’m glad you like it! It was several hours of being weirdos in a hotel lobby and bathroom for these shots but I think it’s really worth it to see clothing and outfits on a human than just a white backdrop. Clothes hang differently when on a person. I hope to do another one maybe one each season? I feel every brand has a certain aesthetic they portray… but who has to follow it? I’ve worn Talbots to rock concerts and Universal Standard with cabbage roses. Both make quality clothing with a broad size range and I catch myself rocking them together on a regular basis LOL. And this sweater is pretty fantastic, I doubt you’ll regret it! LOL, well that’s kind of the M.O. of a capsule wardrobe. Simplicity of pieces makes for increased versatility! Great post! 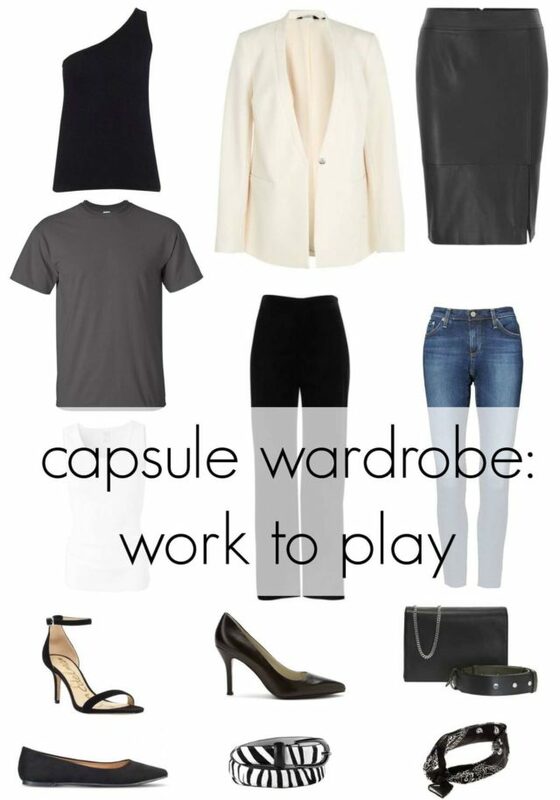 Easy starter capsule that most of us neutral lovers already have in our closet with excellent tips on how to expand this. I don’t have the exact pieces but other pieces that easily substitute. I first learned how to make a capsule when planning what to pack for a three week trip. After I got home, I used the same capsule for the rest of the season. I loved not having to figure out what to wear each day. I need to get back to doing this again. Trips do help us get into a capsule mindset, but such a wardrobe is great year round! Woo hoo! Updated thank you! LOVE THIS! Thanks for bringing the real life. While I’d never wear the blazer, a light wrap or cardigan or leather jacket in winter can replace. 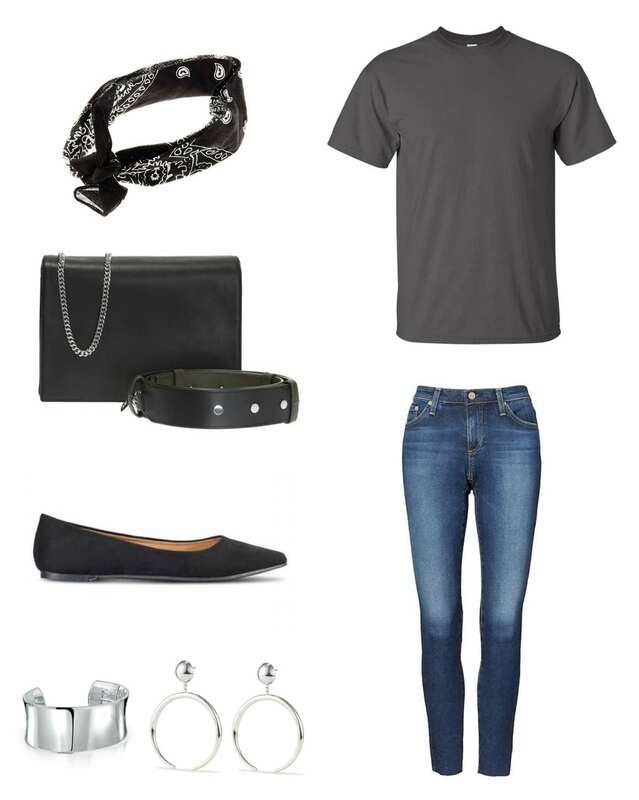 I have enough items in my closet now that I can almost pull this off!